The importance of interview preparation should never be underestimated. Interviewers are experienced at being able to tell between those individuals who have prepared and those who haven’t. For a few hours of your time you are giving yourself an advantage over those who haven’t made the effort to prepare. Unfortunately, no one can predict every interview question that will come up. You should have already researched the company and studied the job application in your preparation to write your CV/complete the application form. By researching the company, you will have been able to understand what they are like as an organisation and you may also have a good idea about the kind of people who work there. They will expect you to have a good grasp of what their organisation does and where the role you are applying for fits in. You now need to prepare yourself for understanding the type of questions they may ask you so you can practice and have more confidence on the day. 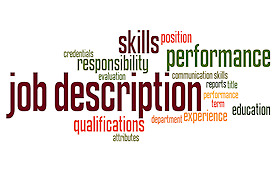 The job description is a valuable piece of information as it tells you exactly what you will be doing if you are successful. If you look at the example questions below that are common types of questions asked at interview you will be able to examine the duties and required personal qualities to help you to understand more about what the role entails. Then, you can tailor your answers accordingly and come up with tangible examples that prove you’re the best candidate for the role. When it comes to the type of questions you might face for an apprenticeship job you should remember that the company will already have decided about the kind of person they are looking for. They are looking for individuals to have certain behaviours and characteristics so they know the person fits those behaviours and characteristics are more likely to fit well with the company and the people who work there. They have seen your CV and offered you an interview, so they do want to meet you and they do want you to be the person they are looking for. You need to think about the different types of questions and then plan how you can not only answer the question but give some real examples to demonstrate your knowledge further. All throughout the interview you need to make a good impression. Being prepared will go a long way in making that good impression, as it will stand out that you are serious about the job and that you have given it plenty of thought. Let’s look at some typical questions you might get asked. • What is it that interests you in an apprenticeship in this company/in this job role? • Why did you decide to do an apprenticeship instead of going to college full time? • What do you think we are looking for in an apprentice? • The training for the apprenticeship includes studying for a qualification while working full time and may at times be demanding. How would you organise yourself to balance your study and job and ensure you complete your work on time? • How would you rate your organisational skills on a level of 1-5 (1 being the lowest)? Can you give us an example to illustrate this? • Can you give an example of when you have had to work independently and used your initiative either through study or work? • Can you tell us giving us an example of how you cope under pressure and in stressful situations? • Can you give an example of when you have had to deal with a difficult situation either in work, life or school, and how you managed it? • Can you tell us about something new that you have learned in the last 6 months and what you have gained from it? • Where do you see yourself in 3/5 year’s time? • This job will involve working with a range of computer systems; tell us a little about any you have used and what for. • Give us an example of a piece of work you have been involved in and how you managed the work load. • We’re going to give you a scenario; You receive a call from someone who is unhappy/aggressive. How would you deal with it? • If you were having problems in the workplace, what would you do? • What do you think the benefits are of working in a team? • What is your understanding of an apprenticeship and its commitments? • What are your future career aspirations? • Is there anything we haven’t asked you that you would like to tell us about yourself to support your application. The answers will obviously depend on your experiences to date. Many of the questions are asking you to give examples. A good way to practice is to write all your example answers below the above questions and then you can think of more than one example. 7 Ideas to think about as you prepare for your answers. Your organisational skills. You need to explain how you organise your day/time and give some examples of times you have done this and how. You may have worked on a project at school or in previous job/voluntary work or it could be preparation for study for exams. Your range of experience. Take you time to think about all the things you can do and have done on a regular basis. Are you experienced on the telephone, sending emails or are you in any groups where you are a member of a team? It could be a sport or even previously the scouts/girl guides. You will most likely be part of a team at work and they will want to know you are good in team situations. Dealing with people. Do you have previous work experience or have you done voluntary work where it meant perhaps dealing with customers? Again, it could be even a school project where you have had to consider other opinions. The opportunity. You will have studied the company and the job role you have applied for and they will want you to describe why you feel this job is a good opportunity for you. Here you can demonstrate the knowledge you have about what their company can offer its employees and how this fits with you plans for a future career with them. Prioritisation. The working environment is a busy place and you need to explain how you decide on what is a priority to complete and what activities you can do later. If you have worked before this should be easier to think about but again if you are just out of school you could talk about exam preparation and study skills. Communication skills. This is an important consideration for employers especially if your job will be customer facing. Even if it isn’t you still need to have good communication skills to liaise with your work colleagues. They are looking for how you can pass on information to others in a clear way both verbally and be email etc. Transferable skills. Transferable skills are skills and abilities that are relevant and helpful across different areas of life: socially, professionally and at school. They are ‘portable skills’. You need to think about what your transferable skills are and how you can describe and give examples of these in your answer. Try making a list of your skills and how you have used them up now and how that transfers to the job description. You can then use this in your answer. Be Enthusiastic. Put some energy into your questions. Don’t spend too much time on a question. Stick to the main points. When asked about your previous experiences you should describe the situation you encountered. What you did in that situation – in the order you did it if possible. How it turned out – focus on positives. Avoid irrelevant topics. Focus on the questions that the interviewer asks. Speak clearly and loudly enough for the interviewer to hear and understand you. Stay professional and do not use bad language or slang words. It is fine to ask for a little time to answer the question. If you need to pause to think it through that is okay. You can ask them to repeat the question. If you haven’t understood it then you need to be clear about what they are asking so you can give the right answer. Try and relax and stay calm throughout the interview. At the end of the interview it is common for the interviewer to ask you if you have any questions. This is just as important a part of the interview to get right and in fact there are a lot of candidates who have not prepared for this and so again a great opportunity for you to shine! It shows you are taking an active interest in their company and you are willing to learn more about the job that you have applied for. 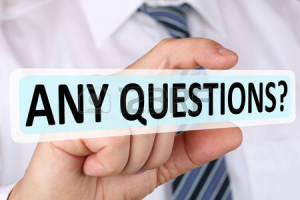 If you don’t ask questions you may well come across as disinterested or unprepared. 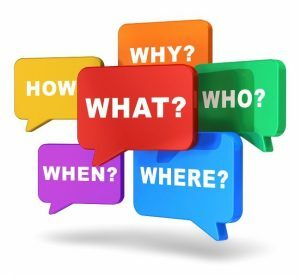 Below are essential questions you might want to ask and then others that take your questions a step further. Don’t ask them all! The interviewer will not have time to go into every question listed here. • What will my day-to-day duties include? You can refer to the job description and ask them to give you more details about what happens day-to-day. • Who would I report to? • What can you tell me about the team I will be joining? • What on-the-job training will I get during my apprenticeship? • Will there be any internal training other than the apprenticeship? • What is the next step in this process? • You can ask questions about the decision timeline for the position. • Whether I am successful or not with this application, what feedback will I receive from you following on from my interview today? Be careful! Some of them may have been covered during the interview, so you need to choose what you ask carefully or you risk looking like you were not listening! These questions will further set you apart from other candidates. Pick some from here too. • Can you describe the ideal employee for your organisation? If you know what they want from their employees you can refer back to your answers and reinforce your answers, such as you are always punctual, have good attendance etc. • Do you have any former apprentices in your teams who are now full time members of staff? What was it that made you keep them on beyond their apprenticeship? • How many other apprentices are in the business? Will I be working with them directly? • What opportunities will there be for me to gain experience in other teams or parts of the business? • What do the best team members/current apprentices do that sets them apart from others? • What do you enjoy about your job? This is another opportunity to stand out from the crowd and demonstrate how professional you are. It certainly doesn’t hurt to send a short follow-up email after your interview. You can say you enjoyed meeting them and you enjoyed the interview. Thank them for giving you the opportunity to come for an interview, reinstating your interest in the apprenticeship and that you look forward to hearing from them.